Halloween is right around the corner! What a fun time of the year it is to shop for silly and scary items. With all of the creative and exciting things to choose from (see all of our Halloween products here), it’s easy to get carried away or overwhelmed. Well, we’ll help make it easy for you! 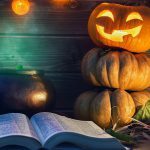 We’ve come up with a list of 10 budget friendly Halloween items that are perfect accessories for your next Halloween event! 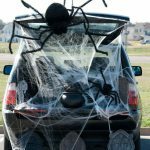 Whether you are looking for costume additions, party favors, or goodies to give to your kids, you can still have a ghoulishly good time without breaking that bank! 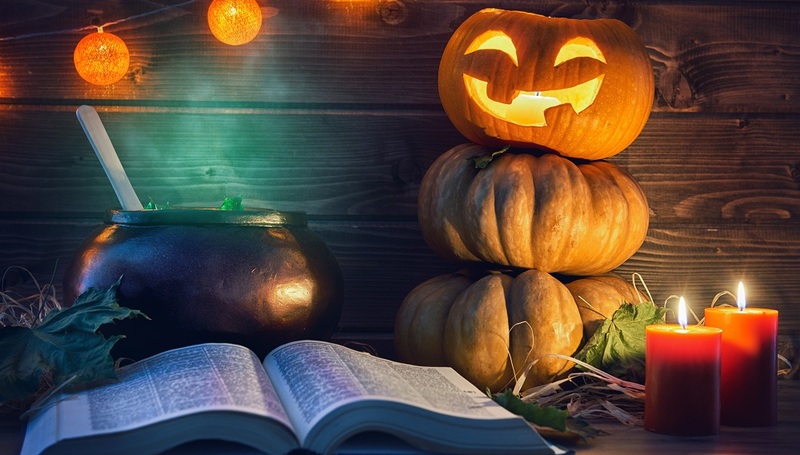 Check them out below and then let us know what you are planning for Halloween or even what you are going as in the comments below! 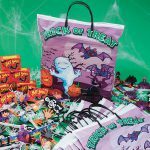 Make Your Own Trick or Treat Bag! For kids, trick-or-treating is the best part of Halloween. 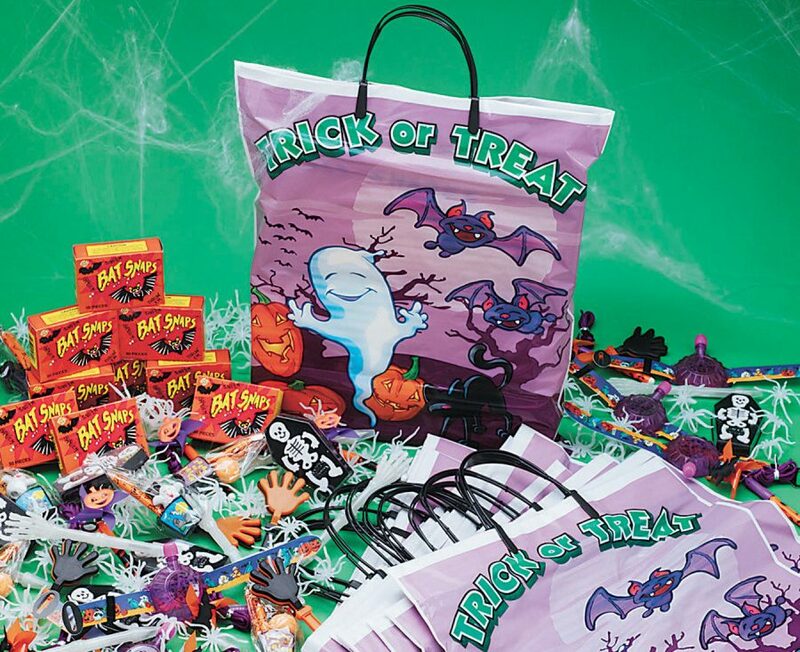 Make collecting candy even more exciting with a personalized bag! Kids can decorate their own bags as pumpkins, ghosts, and more! The bags are made from a strong, rip-resistant canvas. This is a great non-food item for students or even trick or treaters. They are colorful and dote fun Halloween phrases that kids will love. Help guests or students get in the Halloween spirit! Adjustable foam masks are perfect for kids and adults, and are much more comfortable to wear than a plastic mask. A creepy good party favor. These bouncy balls are glow in the dark, so turn off the lights and tell a spooky Halloween story! 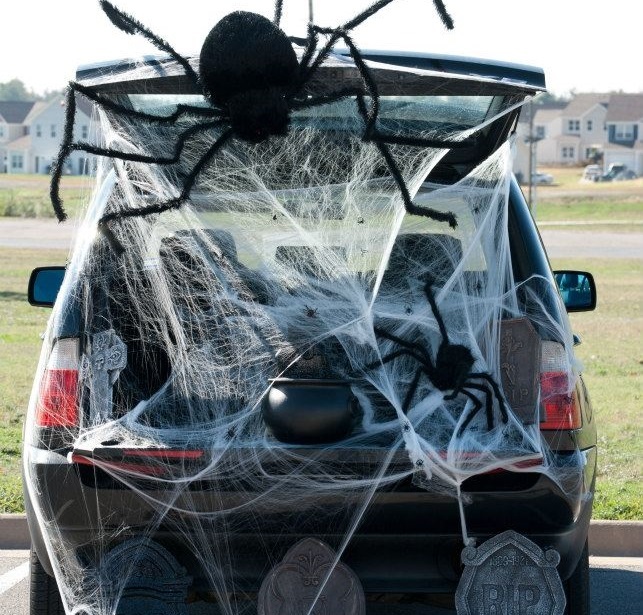 You can also use them as decorations or as an alternative to candy for trick or treaters. These face painting sticks allow you to get super creative in making precise designs. You can choose from our selection of bright colored or regular face paint sticks. They’re also perfect if you need to take them with you on the go! What’s better than silly string? Glow in the Dark silly string! Bring it to your next Halloween party or use it as a prank, and we guarantee that at least one person will end up wearing it! Make your friends do a double-take when you wear these fuzzy marabou-trimmed boppers around! If you’re looking for a wild, weird and wacky Halloween accessory, this one will do the trick. A fashionable, fun, and frightening accessory all in one! This classic novelty item can be handed out as an alternative to candy on Halloween night, added to a goodie bag, or even used as a decoration! Besides, what party goer or trick-or-treater can resist a spider ring? Candy is a Halloween accessory too, right? Perhaps it’s even the most important one of all! You can never have enough Dum-Dums. These sweet treats will make any party, even a party of one, complete! Use these bags to hold all of the party favors and candy from the night and give them to your guests! You can also fill them with prizes and have Halloween contests, like best costume. This entry was posted in Halloween, Holiday & Seasonal and tagged accessories, budgets, Candy, Face Paint, Halloween, holiday, Party, trick or treat by S&S Worldwide. Bookmark the permalink.